Perched at the Triple Frontier, where Brazil, Paraguay and Argentina meet, Puerto Iguazu is linked to Brazil by the Tancredo Neves bridge. It is home to the Museum of Images of the Jungle, the Mborore Museum, a bird rehabilitation center and the famed Iguazu National Park. 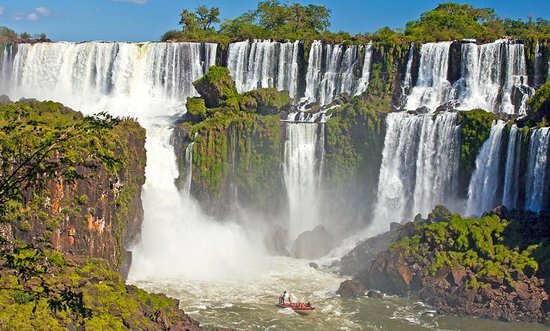 The National Park is home to 275 waterfalls, including the world-renowned Iguazu Falls, which plunges 270 feet. A subtropical climate means it's warm in winter and hot in summer, with temperatures soaring up to 104°F.